Over the course of several years, I've been fortunate to secure classroom grants and donations to fund various items for my school and my STEM Lab classroom, totaling over $10,000. Ever wonder what makes some grants successful? Here are some tried and true tips and tricks to make funding your project a success! It's much easier to write and explain a grant idea when you already have a project in mind! It's also easier to match existing grants with your ideas when you already have a need or desire. What are your goals for your classroom? What sparks your interest? Is there something new and exciting you've been wanting to try and haven't had the funding? What will be the impact on student learning, and how will you measure the success of your grant? These are all things you should be thinking about before you get started. 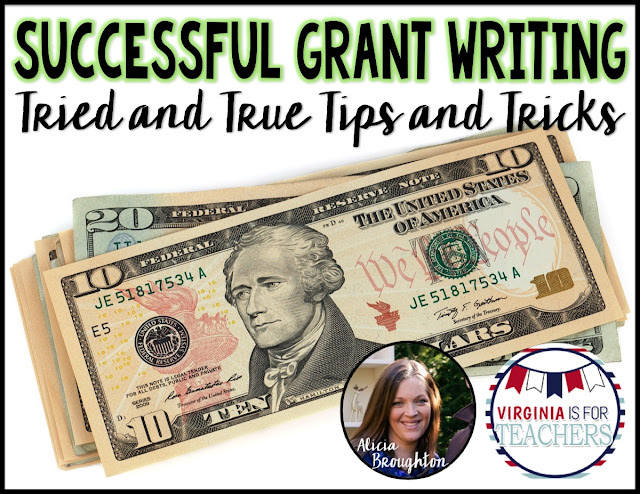 There are so many considerations when you are thinking about writing a grant. How will you incorporate your new idea into your existing curriculum? What resources will you need in order to successfully implement your idea if it is funded? For example, the reading specialist and I wrote a grant to get a Picture Book library for our school to support the 6+1 writing traits. We needed to research appropriate picture books and match them with the traits, secure space in our school to house the books, get the librarians involved to catalog them, and use time during faculty meetings to model lesson ideas. This took tremendous planning over the summer. Does your grant idea include involvement from other people or staff members? Make sure they are on board! Don't forget to receive permission from your administrators, especially when you might be adding something to someone else's plate. Many grants require signatures from administrators anyway, so it's a great idea to explain your idea to them first. I've realized that the more students that your grant impacts, the more likely it is to be funded. Maybe your idea will reach your entire school population- great! Even if you are writing a grant for your individual classroom, will you be sharing your resources or ideas with your grade level? Presenting at faculty meetings or conferences? Will you be using the resources for future students? Then you are reaching a wider audience! Don't forget to include that in your proposal. Many grantors are looking for creative, innovative, and educational ideas. Do you want 2 iPads for your classroom? Great! But has that been done before, and will they likely be seeing several proposals for iPads? Probably. How will you use them in a creative and innovative way? That's what they want to know. There is a wide range of people and organizations who are willing to help fund projects! Do you belong to any professional associations? Many of them offer grant opportunities, so be sure to keep checking with their websites. My county has several local grants through a community foundation. Be sure to check with your district to see if similar opportunities exist. Sometimes, there are classes out there that give you funds for items for your classroom upon completion. This is a win-win situation! You continue to be a life-long learner and get new supplies for your students! Be on the lookout for these. Donor's Choose is a great option if those scenarios don't apply to your situation. The same rules of grant writing apply to Donor's Choose, but you are looking for several individual donations rather than one grant. Once your project has been approved by the website, be sure to spread the word about your project proposal to your parents, school community, family and friends! Many times, there are people out there that give matching donations to the ones that you are personally able to secure. 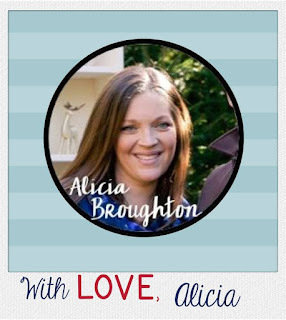 There is a specific section for Virginia on Donor's Choose as well - click on the link below to check it out! *Side note - on Donor's Choose, if your idea doesn't get funded within your timeline, you have to allocate your funds to a different project. While you should be "thinking big," be careful not to get too excited and write an idea for thousands of dollars. Having realistic expectations is also important. 1. Read through other grants! This will help with wording, etc. 3. Follow all of the directions. Don't get disqualified because you missed something. 4. Avoid acronyms - be clear and concise. Many times, the grantors are not in education. They may not know our "lingo!" 5. Include a detailed, reasonable budget with prices, etc. They want to know where their money is going. 6. Use research to support your ideas. It makes your grant credible and shows the seriousness of your proposal. 7. Use disaggregated data from your school, such as your SES information. 8. Consider how you will measure the success of your project - many times they ask for this information anyway. 9. 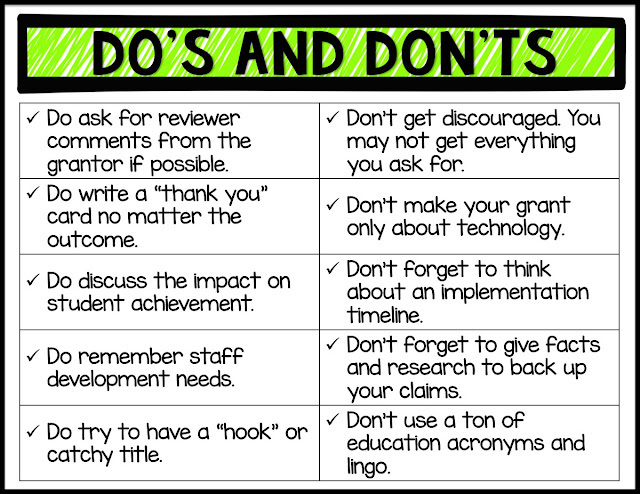 Ask someone outside of education to proofread your work. Does it make sense to someone that isn't in the classroom? 10. Recheck the directions and stipulations before you submit it. As I work on my next grant idea, I wish you all the best in your grant writing endeavors! May the luck of the Irish be with you! Great ideas. I've been successful with Donor's Choose and my classroom families as an alternative to an "end of the year gift" for myself that they donate through Donor's Choose for something future students can benefit from. DC also had 50% matching for the first 7 days too! Great post! Thank you so much for sharing good post.I like the way of writing and presenting.I searched many resources for my work because i am a writer at a college paper writing service. New resources are giving new information.I will share this post for my friends. I am very grateful for this post! I will use this information for my research. I really believe that it will help me. The www.proof-reading.services is the best way to improve your writing skills.